100% brand new and high quality, MCDODO Brand. 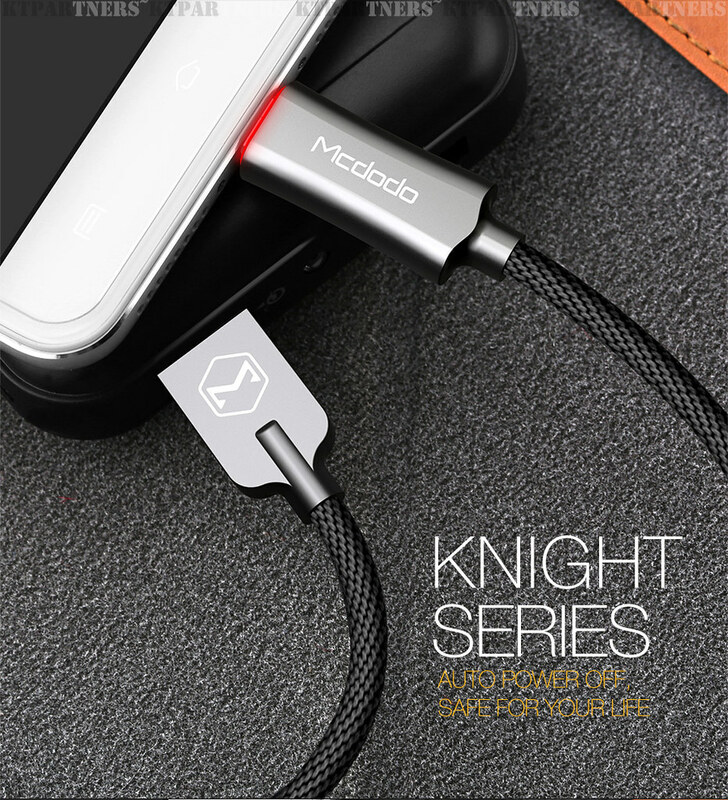 Made by high quality Zinc Alloy + Ballistic Nylon material. USB data Nylon Cable mobile phone. Smart LED and high-tech Auto Disconnect Function: The Smart LED light will blink when charging, so you can find you phone easily even when in the darkness. And it will be on when the battery show 100% charged, and it would be off after half an hour to protect your phone battery from over charged, so that can protect your battery enjoy longer life. High Quality aluminum connector, looks in higher end and can have longer working life. 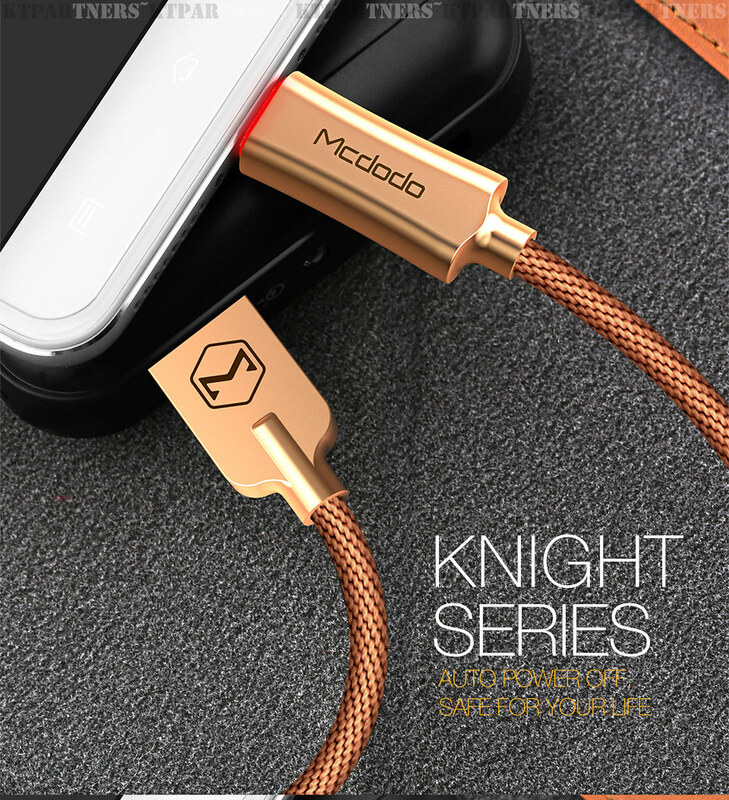 Unique design, make your cable special and fashionable. High quality fabric coating, can avoid the cable from twisted in a mass. High Quality, special design, auto disconnect, more convenient. ●Light off when exact full charge. Light off after 30 minutes, charging signal is disappeared.